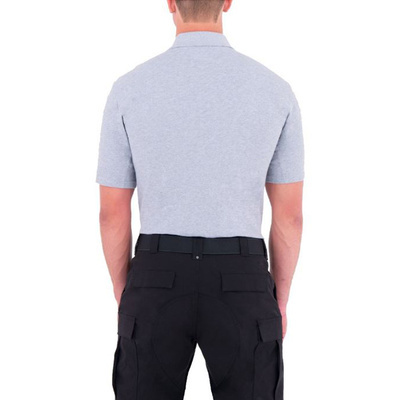 The First Tactical Advanced Fit gives the tactical polo a better fit that’s suited for duty. The design is naturally tapered eliminating a baggy or boxy profile — all without restricting your movement. You’ll have the freedom to stay active without compromising a professional appearance. The integrated mesh knit panel is placed at the back of the collar, providing ventilation to keep you comfortable as you stay on the move. 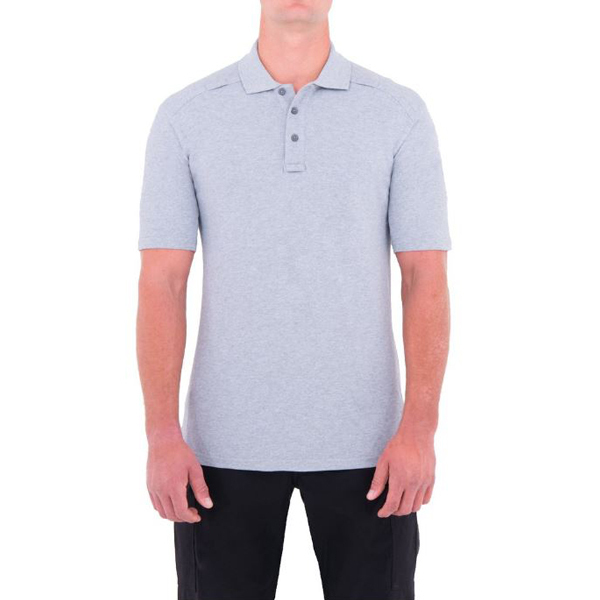 The no roll collar design integrates thin, flexible plastic stays that give you a fresh-pressed look. No rolling or curling — simply a professional profile that holds up.